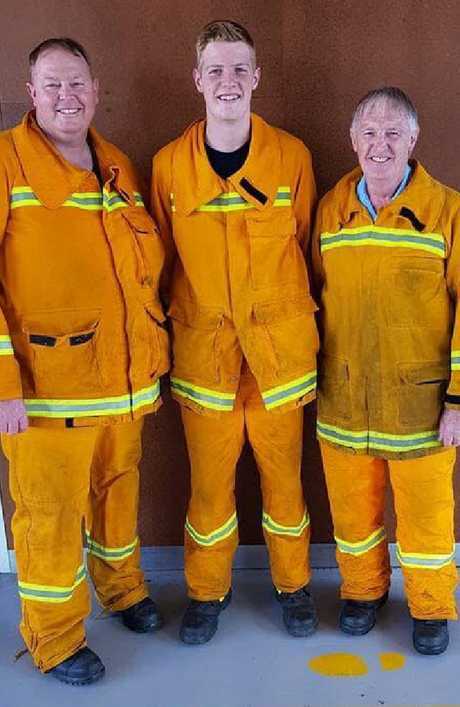 THREE generations of Wright family men and women have dedicated their lives to fighting fires to protect communities across rural Victoria. The tradition started with Ray Wright, who passed his passion on to his son, Michael, and his grandson, Lauchlan. So when Michael tragically lost his battle with bowel cancer on Sunday, his father did the one thing he knew his son would have wanted. 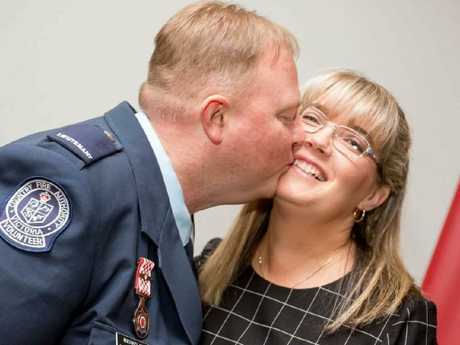 He went straight back to the frontline of the raging Victoria bushfires to fight in Michael's honour. 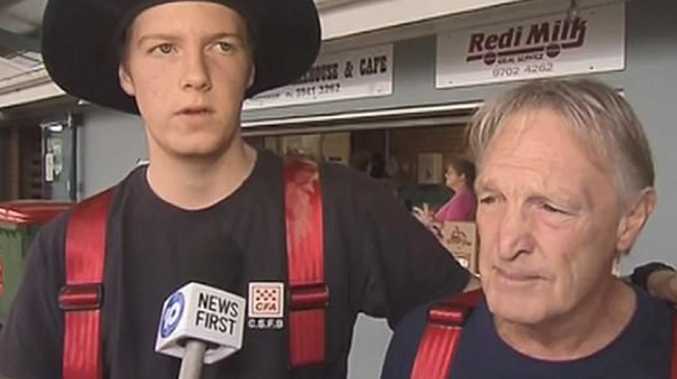 According to 10 News, every inch of bushfire Ray conquered this week would be in memory of his beloved son. "He'll be with us," Ray said. "It's what he would have wanted." Family work: Michael, Lauchlan and Ray Wright have served as firefighters for years. The touching tribute comes as a series of out-of-control bushfires continue to sweep through Victorian towns, leaving a trail of destruction in their path. A lightning strike sparked the first blaze in the Bunyip State Park, but temperamental weather conditions have since spread it to surrounding towns, mobilising more than 300 firefighters and aerial support in a bid to control the blaze. 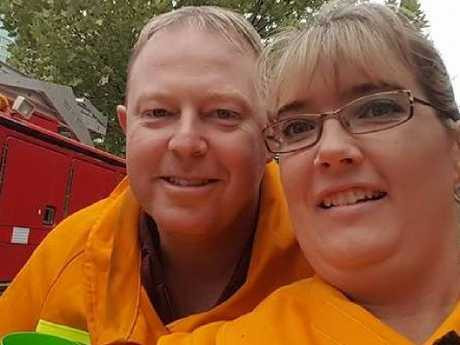 Usually, Caroline Springs Fire Brigade 1st Lieutenant Michael Wright would have been the first on the frontline of such a bushfire emergency. Michael had more than three decades of firefighting experience under his belt and even introduced his wife, Julie, to the lifestyle. Michael and Julie Wright worked together at the CFA. But Michael had battled bowel cancer for several years and was hospitalised in November after his health began to deteriorate. Over the last few days, Michael had slipped into a deep sleep, surrounded by his family, before he succumbed to the disease and died just before noon on Sunday. Speaking to 10 News from a firefighter staging area, Ray said despite his son's death, he travelled to the frontline with his grandson, Lauchie, the very next day. As he choked back tears, Ray proudly explained that three generations of his family had worked on some of the worst fires to keep their community safe. "We're on different trucks, but we're in the same strike team," Ray said. "Different trucks, but we're there together." Lauchlan said he followed his brave dad into the flames the first chance he could. "I always wanted to be like him. I'm sure today he'd want me to be out here, alongside Pa, and hopefully be proud," Lauchie said. "He was always about helping others, so I just want to be like him as well. I thought, 'Why not do this?'" Michael was a "highly respected" member of the Victoria Country Fire Association. The CFA released a statement overnight, remembering Michael's "passion and dedicated hard work". 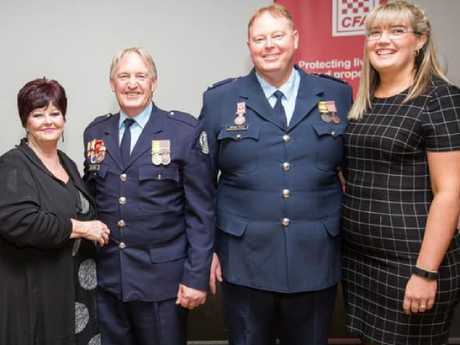 "Mick was a highly respected member with an extensive history of over 30 years with both Caroline Springs and Melton Fire Brigades, the Mt Cottrell Group and District 14," the statement said. Firefighters Ray and Michael Wright with their wives. In the days since his death, family and friends flooded social media with love and support for the Wrights, saying how much Michael will be missed and how proud he would be of his father. 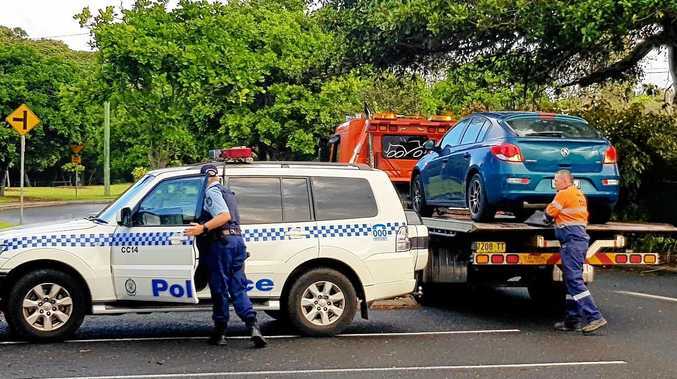 Cassidy Clayton wrote that Sunday had been a "hard day for everyone who knew Michael and the amazing Wright family". 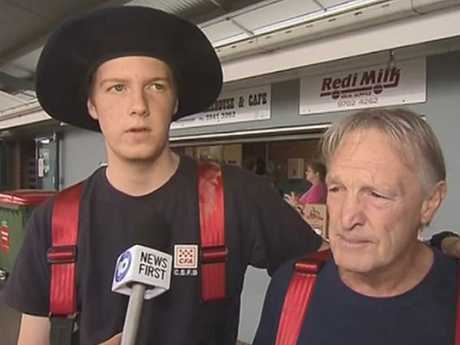 "Today Ray and Lauchie are doing what Michael loved most by helping with the CFA and those affected by the fires," Cassidy wrote. "The strength and courage this whole family has shown throughout the last 2 years really does inspire everyone who knows them."